Except for the not-believing-in-God part, being a Democrat has got to be a beautiful thing. What a joy it must be to have the entire media-complex standing at the ready to leap on any talking point you want leapt upon. On Friday, the Democrats put out a memo titled “The Month of Overreach.” Naturally, it was all about slamming Republicans for daring to look into legitimate scandals like the IRS and Benghazi. And what happens Monday Morning? 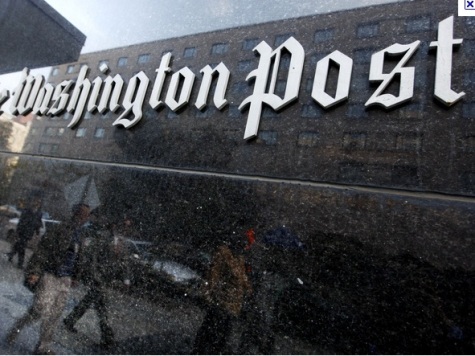 The front page of the Washington Post asks if the GOP is in danger of “overreaching” on the scandals. Here is the Washington Post. Here is proof that in the past the Washington Post worked hand-in-hand with the White House to save Barack Obama more than once. It is not just the Washington Post, either. NBC’s Chuck Todd and the National Journal’s Ron Fournier have been all over the O-word today on MSNBC. Rather than find and report on the truth, the media is much more interested in attacking those searching for the truth. It is called Palace Guarding.